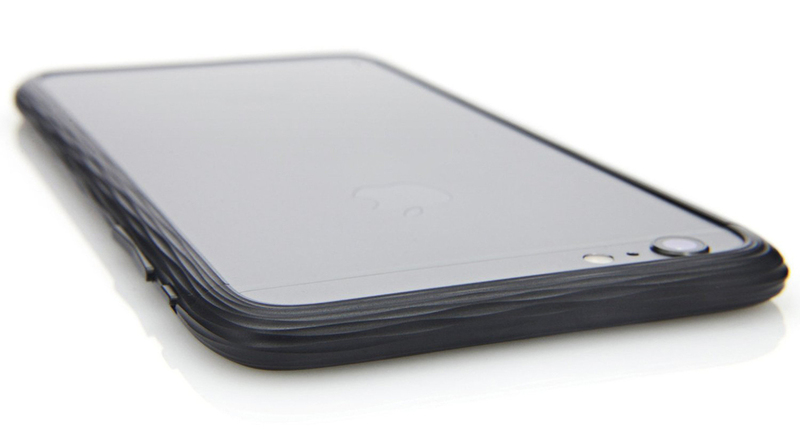 The case gets its name from its unique styling featuring a number of slits along the back of the case that let parts of the iPhone 6 show through. The Slit's subtle contoured body gives the user a more comfortable shape to hold onto while the edges are rounded to compliment the original design of the iPhone 6. And while The Slit isn't available for the iPhone 6 Plus yet, but does come in gold, silver and black. That being said, gold is only a color. The Slit is not actually dipped in real gold. $2,000 only gets you so far it seems. And we're not exactly sure what makes this case so expensive, because it surely isn't the material that it was precision carved from using state of the art 5-axis 3D CNC machines. Not even the drain cover-inspired styling warranty such a ridiculous amount of money. But since The Slit is in fact made in Japan by a forward thinking Japanese company, you can be sure to find some really clever stuff behind that striking facade. The Slit was designed to be a screwless case, meaning it requires no tools or screws for installation as it simply slides onto the iPhone 6 from both ends using its two-piece sliding construction, which click firmly into place. Two discrete buttons on the bottom sides of the case eject the parts when you want to remove it. Alas, this case will degrade your signal strength to some degree because metal is partially covering up the iPhone's antennas. Squair also makes a few other lavish cases in the form of beautifully crafted bumpers for the iPhone 6 and iPhone 6 Plus that look like fine designer jewelry starting at $300.